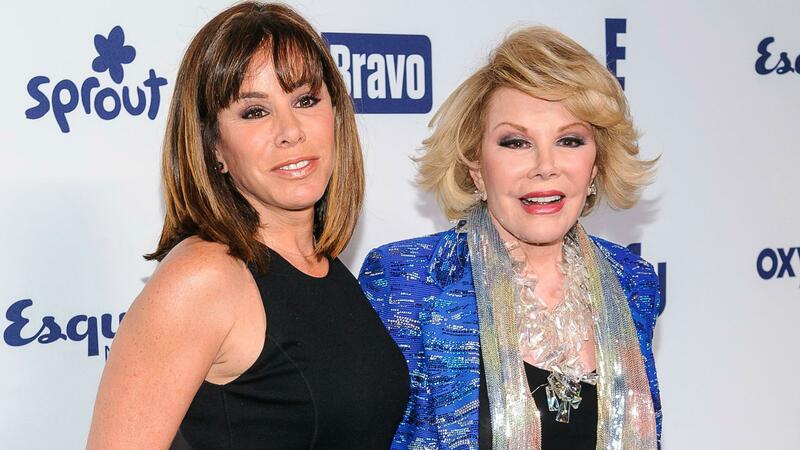 They say time heals all wounds, but we’re willing to bet Melissa Rivers still has a long way to go. Hot on the heels of the announcement that she will be receiving the bulk of Joan Rivers’ estate, Melissa posted an extremely touching photo of her mother with her son, Cooper. The photo shows a tiny Cooper being pushed on a swing by his grandmother, who is uncharacteristically wearing jeans and a T-shirt. Melissa’s caption reads: “Connecticut, 2004. Mom + Cooper = BFFs… A perfect day. #TBT.” The sentimental caption illustrates that all the money in the world can’t bring back what Melissa and Cooper really want, which is for Joan to still be in their lives. Word came down this week that Melissa is set to inherit $100 million from Joan, according to Us Weekly. $75 million of the endowment is to be cash and Melissa will also take ownership of her mother’s $35 million condominium in New York’s posh Upper East Side. Cooper was also named separately in Joan’s will. Joan was undergoing a routine, outpatient surgery on her throat on Aug. 28, when she suddenly went into cardiac arrest and was rushed from the clinic in New York City to a nearby hospital. She was on life support for several days and, on Sept. 4, Melissa announced that her mother had passed away. After an uproar claiming that the clinic was responsible for what happened to Joan and following numerous rumors, including one saying that the doctor performing the surgery took a selfie during the operation, Joan’s death was put under investigation by the coroner. Last week, the New York City Office of Chief Medical Examiner released a report calling the cause of death a “predictable complication,” which, in essence, means that the professionals involved probably could not have done anything to prevent Joan’s passing. Melissa took to Twitter to respond to the medical examiner’s findings. In response to NYC's Medical examiner's report, we continue to be saddened by our tragic loss. No further comment at this time. Our thoughts continue to be with Melissa and Cooper during this hard time.